La Vita story starts way back in 1999 when a small, yet growing, family began a tiny catering facility in Chester, CT.
With extra space on hand, Jacqueline wisely suggested that they throw a few tables in the front just in case people wanted to ""dine in."" Those 5 tables quickly grew into 15 and soon those 15 tables didn't seem like they would be enough to satisfy the local crowd's desire for delicious homemade cooking. 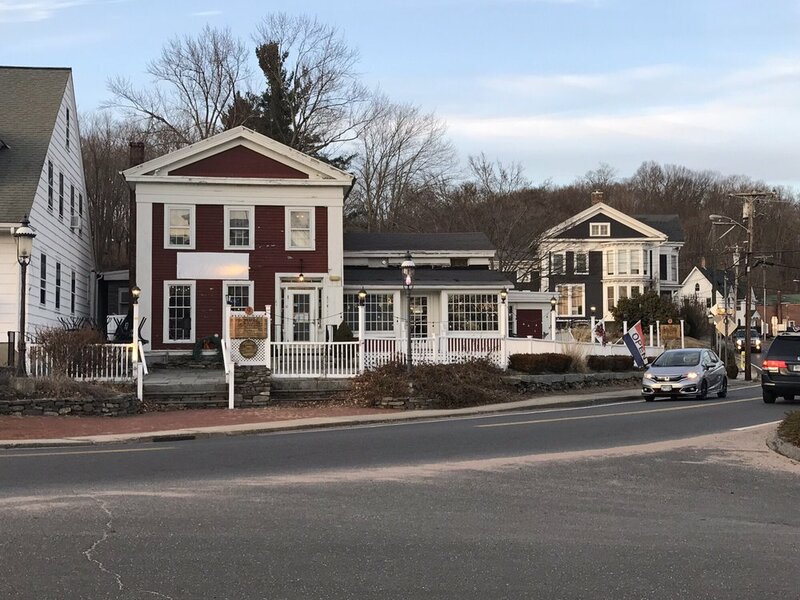 They found a beautiful old building in the historic Goodspeed landing in East Haddam Village. Their new home would be right across the street from the Tony Award winning theater, The Goodspeed Opera House. This is where the story finds La Vita 17 years after opening. We have been going to La Vita for the last 2 months at least once a week while my son has been in a production. The service has been consistently warm, friendly, and helpful. We have certainly tried a very wide range of foods here. Our family almost fights down to the last crumb of the foccacia bread that they serve with dinner. Baked fresh every day it is truly delicious. I love when the waitresses say "You're going to LOVE todays loaf"! The salads are all very good with the August special the caprese being the stand out for me. The steak and arugula is also delicious. My oldest son loves their pulled pork quesadilla and their pepperoni pizza. I reccomend the scallops, eggplant rollatini, and the steak tacos (please don't take them off the menu...ever!!). Their pizzas are quite large with a regular being the size of a normal large and the family size being double that. They also have a very wide range of beers and ciders. We will miss our weekly dinners here and I would imagine we will find a way to come back to this very inviting restaurant. A getaway right in my own backyard. I think it is funny how whenever we think to go out to dinner, we feel like we have to drive to Middletown or West Hartford or Manchester. This little gem is less than 3 miles from home but provides an experience I would drive an hour for. The vibe at Vita is casual pub. They have a patio looking out over the road and river, but on Friday night it was too chilly to eat outside. We ate in the tavern room. The staff was friendly, we were greeted and seated immediately. I was bummed that the fall beers were gone and the majority of the beer on tap were IPAs. Toni got a fall sangria and it was delicious, so I got one too. Calamari to start. A good sized portion for two. Crispy and the marinara for dipping was tasty. We devoured it in moments. Toni got a chicken cutlet sandwich. I got the meatball. Fries for her, potato chips for me. The fries were great. The chips okay. The chicken on her sandwich was great, juicy and crispy. The sandwich needed just a little more, mayo or a stronger cheese. My meatball sub was fantastic. Nice soft meaty meatballs with the same delicious marinara served on garlic bread. That is how we keep the vampires away. Service was perfect. We failed to save room for dessert. A local band was just setting up as we departed. Next time I hope to plan better. Both for dessert and live music. Parking and getting in and out of the restaurant parking lot can be tricky. The restaurant is located in the middle of the curve as you cross the river on the East Haddam Swing Bridge. We parked in the Goodspeed Opera House lower parking lot and walked. Great for a clear night not so much during weather. Total experience was awesome. A quick getaway close to home. Great food and service. We will definitely be back. We had a Groupon for and paid . Looking at the reviews here I have to admit I was a bit nervous. There's a wide spread of love & dislike. We went with 2 apps and a pizza. First app was a beet salad with goat cheese crostini. At fist glance there didn't seem to be dressing. However, at first taste the light hint of dressing was perfectly balanced with the goat cheese, fried prosciutto (awesome touch!!! ), candied walnuts and beets. The beets looked of heirloom variety and went subtly pickled. Reminded me almost of cantaloupe or honeydew. Second app was Tuna Nachos...Another treat. Served on perfectly fried wantons the tuna was perfectly seared and topped with scallion, ginger and a sashimi dressing. Total japanese flavor and light and refreshing. Finally we got the meat pizza. Reading the reviews the one thing everyone seemed to agree upon was the quality of the pizza. We weren't disappointed. Hand tossed, the dough was light and crunchy in thin crust format. Sauce was spot on and cheese wasn't greasy. Toppings of pepperoni, bacon and meatball was plentiful and almost too much as the dough got a bit soggy. Leoparding of the bottom was perfect but I'd like the top a bit more done. The meatballs were good and very light. I imagine they would make one hell of a grinder...maybe next time. However cut too thick for a pizza topping. I'm not a big meatball on pizza guy so take it for what it's worth. Service was good with our waitress checking but not being around too much. A great place to grab apps or dinner or even a pizza on the fly. I live in Essex and will have no problem driving to East Haddam to pick up pizzas.